Volkswagen of America released three new renderings of its new midsize sedan to be produced at its assembly plant in Chattanooga, Tennessee and officially unveiled at the Detroit Auto Show in January with its market introduction in the third quarter next year. Here's the 18th year annual 2011 North American Car of the Year Awards "short list" as selected by automotive journalists from the United States and Canada who represent magazines, television, radio, newspapers and web sites. 27 new cars were eligible and cut down 14 semi-finalists while there were only 14 trucks eligible so no voting was needed to cut that list. The three car and three truck finalists will be announced on December 16th at an Automotive Press Association luncheon in Detroit and the final two winners - car & truck - will be announced in January at the North American International Auto Show in Detroit. 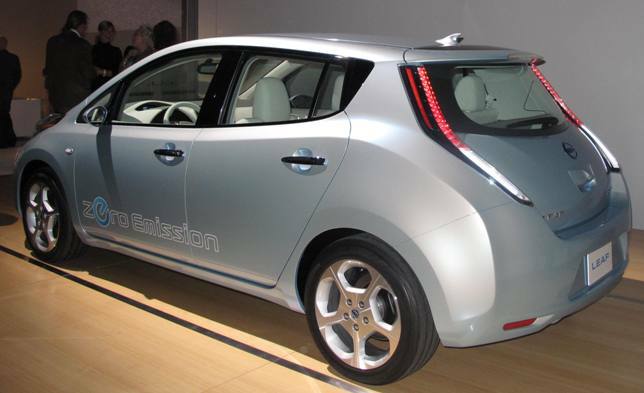 Labels: 2011 North American Car of the Year Awards "Short List"
Nissan is ahead of its own schedule to reach its stated target of 20,000 reservations by the first U.S. Nissan LEAF delivery in December. Nissan kicks off the 23-city "Drive Electric Tour" October 1 in Los Angeles giving reservation holders and those interested in driving a Nissan LEAF a chance to experience all-electric driving firsthand. Nissan says no further reservations will be taken until next year and it's focusing on providing the best level of customer service and premium ownership experience to those who already have enrolled. A subsequent phase of reservations will begin next year, after current reservations and orders have been processed. Nissan's luxury division, Infiniti, released a sketch of its first luxury electric vehicle, which is set to launch in the United States and other global markets in 2013. The 2012 Infiniti M35h, which features Infiniti's Direct Response Hybrid technology, makes its North American debut at the Los Angeles Auto Show in November. The M Hybrid is based on the Infiniti M sedan and promises V8 performance with 4-cylinder fuel economy from a 302-horsepower (est.) 3.5-liter V6 supported by a 50 kW (67 horsepower est.) electric motor. Dubbed "the driver's hybrid," the M35h will be able to be driven on electric power alone at speeds up to 50 miles per hour. The compact Lithium-ion battery pack design also allows use of a spacious passenger cabin and ample trunk capacity. The Infiniti M35h will be available at Infiniti retailers in the United States in spring 2011. The all-new 2011 Kia Optima midsize sedan, first seen during the 2010 New York International Auto Show, is coming soon with three new powertrains – a 200 horsepower 2.4-liter GDI four-cylinder, a 274 horsepower 2.0-liter GDI turbo or a 2.4-liter hybrid engine. This represents Kia’s first application of GDI technology, while a 2.4-liter hybrid Optima will be introduced in 2011. All automatics feature Sportmatic® clutchless shifting. A single six-speed manual transmission is available only with the LX four-cylinder model. The 2.4-liter four-cylinder posts 24/35 mpg (city/highway) when mated to the manual transmission and 24/34 mpg when coupled with the automatic transmission, while the 2.0-liter turbo GDI offers 22/34 mpg, only available with the automatic transmission. The all-new Optima is longer, wider and lower than the vehicle it replaces with an overall length of 190.7 inches, an increase of 1.7 inches over the previous model, an overall width of 72.1 inches and wheelbase of 110 inches, an increase of 2.9 inches, and has a low ground clearance of 5.3 inches. 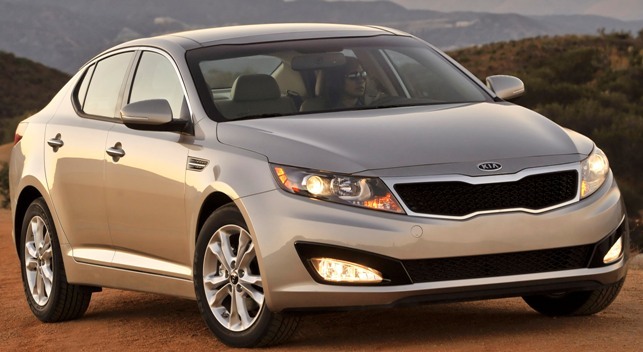 The 2011 Optima is based on an all-new midsize platform available in three trims - LX, EX and SX. The LX includes dual exhaust with chrome tips, solar glass, outside mirror turn signal indicators and 16-inch steel wheels fitted with 205/65R16 tires. Upgrading to the EX offers standard fog lights, heated outside mirrors, exterior chrome/body-color door handles along with 17-inch alloy wheels with P215/55/R17 tires, while the EX Turbo adds a unique front grille design. The SX adds HID headlights with auto leveling, LED rear combination lights, unique front grille design, rear lip spoiler, sculpted side sills, aero wiper blades, black front brake calipers and 18-inch black machined finish alloy wheels furnished with P225/45R18 tires. The 2011 Optima offers a Convenience Package (LX A/T only) with an eight-way power-adjustable driver’s seat and auto-dimming rear view mirror with Homelink®, while the LX Technology Package (with Convenience Package) adds the navigation system with back-up camera, an eight-speaker Infinity®6 premium audio system and dual-zone automatic temperature control with rear ventilation. EX trim consumers can opt for the Premium Package, which adds the panoramic sunroof with high-gloss B-pillar, four-way power-adjustable driver’s seat with driver’s seat memory, heated and cooled front seats, heated rear seats, a heated steering wheel, wood interior trim and center console and metal-finished shifter. The EX Technology Package (with Premium Package) adds the navigation system with back-up camera and eight-speaker Infinity premium audio system. 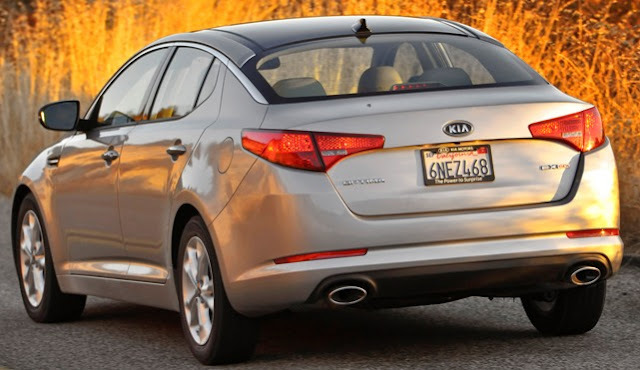 The Kia Optima, like the Hyundai Sonata, is providing real competition to the Japanese and American mid-size market leaders and gets a notch up with the 10-year/100,000-mile limited powertrain warranty, five-year/60,000-mile limited basic warranty, five-year/100,000-mile anti-perforation warranty and five-year/60,000-mile roadside assistance plan. The new models will accelerate Kia and Hyundai's sales and market share growth in the U.S. The all-new 2012 Ford Focus will launch Ford’s next-generation driver-front airbag that uses a reconfigured curve-shaped tether system that pulls in the lower section to create a “pocket” to help lessen the impact of the airbag on the driver’s chest and ribs in frontal crashes. 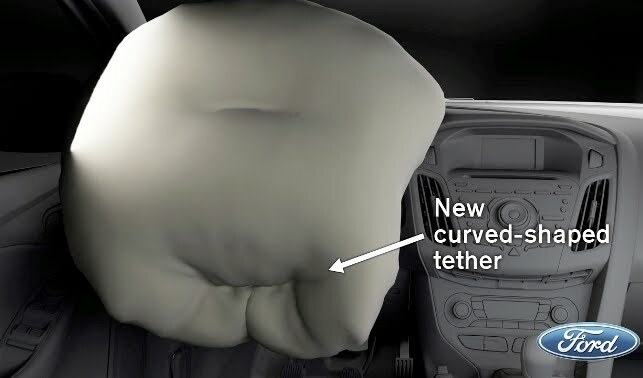 Ford’s side airbags feature shoulder vents that stay open and reduce pressure for smaller occupants who typically benefit from reduced forces. Taller occupants whose shoulders block the vent could benefit from the higher pressures. Focus also will be Ford’s first car ever to feature front passenger airbags with adaptive venting technology that diverts some of the gas from the airbag inflators through vents outside of the airbags. The restraints control module – the control center of Ford’s advanced safety systems – adjusts the level of venting based on seat position. The new passenger airbag is designed to help enhance head and neck protection by better matching deployment force with occupant size. This innovative system uses a small pyrotechnic device to force open the vent and can provide less pressure in the airbag when it’s sufficient to help protect the occupant. BMW North America had to scramble after the untimely, tragic death of my good friend Jack Pitney who was transitioning from head of Marketing to the Eastern Region. Today BMW filled both those positions for an October 1st start date. Dan Creed (left), currently Vice President, Aftersales, BMW of North America, will become Vice President, Marketing, BMW of North America LLC. 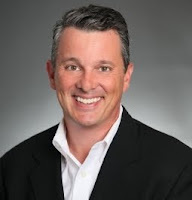 In his new role Dan will be responsible for marketing and product planning and strategy for the BMW brand in the U.S. Dan Creed joined the BMW Group in 1996 as Training Manager for Marketing and Sales at BMW Canada. He was appointed National Marketing Manager for BMW Canada in 1997 and became National Sales Manager, BMW Canada in 1999. In the U.S., Creed was appointed to lead the Southern Region of BMW North America in 2005 responsible for this major sales region and its 123 dealers located in 11 states and Puerto Rico. In his current role as Aftersales Vice President, Creed is responsible for all service, parts, accessories and lifestyle merchandise for the BMW and MINI brands in the United States. Russ Lucas (right), currently Manager, BMW Pre-Owned Sales, will become Vice President – Eastern Region with overall responsibility for sales, marketing, aftersales and dealer development activities in the 12 state Northeast Region which includes the New York metro area. The Northeast Region is the largest sales area for BMW of North America with 93 BMW and 24 MINI dealers. 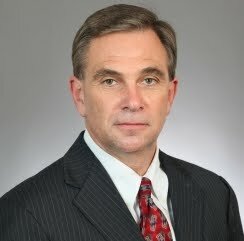 Russ Lucas joined the BMW Group in 1985 first as District Parts Manager in Atlanta, Georgia and then as Area Sales Manager in BMW’s Southern Region. In 1997, Lucas became Regional Aftersales Manager in the Southern Region where he directed a team of field representatives and instructors in expanding the company’s Aftersales business. 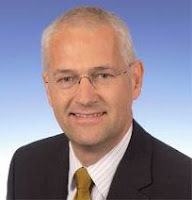 Since April 2009, Lucas has held the role of Pre-Owned Sales Manager responsible for a critical and growing part of BMW Group business in the U.S.
Volkswagen Group of America announced that Jonathan Browning, 51, has been named President and CEO of Volkswagen Group of America effective October 1, 2010. He is currently responsible for the global directing of the Volkswagen Group’s National Sales Companies. Jonathan Browning succeeds Stefan Jacoby, who has left the company. Browning has held numerous executive sales and marketing posts worldwide at General Motors (GM) and Ford Motor Company. He was vice president of European sales, service and marketing at the GM Group from 2001 to 2008, and simultaneously chairman of Vauxhall Motors from 2006 to 2008, becoming GM vice president of global sales, service and marketing in 2008. Browning worked for the Ford Group from 1997 to 2001, first as executive director of marketing for Ford Europe and then as the global managing director of Jaguar. He moved to the Volkswagen Group in June 2010. The all-new 2011 Honda Odyssey minivan is set to debut at dealers on September 30th with a manufacturer's suggested retail price (MSRP) ranging from $27,800 for the Odyssey LX to $43,250 for the Odyssey Touring Elite, plus a destination and handling charge of $780 per model. A more powerful and efficient 3.5-liter i-VTEC V-6 engine features Variable Cylinder Management (standard on all models for 2011) and produces 248 hp (+4 hp over 2010) while delivering an EPA-estimated city/highway/combined fuel economy of 19/28/22 mpg on Odyssey Touring models (18/27/21 mpg on Odyssey LX, EX and EX-L models). For enhanced driving refinement on Odyssey Touring models, a six-speed automatic transmission debuts as a standard feature. All other models receive the five-speed automatic transmission. Significant enhancements to the interior include a new "3-mode" second-row seat design that is more comfortable for center passengers (Odyssey EX and above). The 2011 Odyssey is equipped with a total of five LATCH attachment points (four in the Odyssey LX. up from three in the previous model). The one-motion, 60/40 split 3rd-row Magic Seat® is positioned for more legroom and is even easier to operate for 2011. (1) MSRP excluding tax, license, registration, $780.00 destination charge and options. Dealer prices may vary. (2) Based on 2011 EPA mileage estimates, reflecting new EPA fuel economy methods beginning with 2008 models. Use for comparison purposes only. Do not compare to models before 2008. Your actual mileage will vary depending on how you drive and maintain your vehicle. The 2011 Dodge Durango is an all-new a three-row vehicle featuring two engine options: the standard 3.6-liter Pentastar V-6 and the available 5.7-liter HEMI engine with fuel-saving, Multi-displacement system (MDS) four-cylinder mode. Both engines feature variable-valve timing (VVT) and are available with all-wheel drive and provide towing capability with standard trailer sway control of 7,400 lbs. for the V8 and 6,200 lbs. for the V6. When equipped with the HEMI® V-8, the all-new Durango can tow more weight than a 24-foot boat and trailer. With 22 different seating configurations, there’s plenty of room to store and move plenty of people and their gear. The all-new 2011 Dodge Durango also offers 45 safety and security features, including standard front seat-mounted side air bags and standard side-curtain air bags that cover passengers in all three rows, as well as all-new standard active head restraints. Electronic Stability Control also is standard. Other available safety and security technologies include Blind-spot Monitoring, Rear Cross Path detection, Forward Collision Warning, Adaptive Cruise Control and Keyless Enter-n’ Go. Built at the Jefferson North Assembly Plant in Detroit, Michigan, the new 2011 Dodge Durango arrives in showrooms in the fourth quarter of 2010. August 2010 Auto Sales Weak Vs. August 2009 "Cash For Clunkers"
General Motors August sales for Chevrolet, Buick, GMC and Cadillac was 184,921, down 11 percent compared to last August, a month in which the automotive industry experienced the highest level of sales in 2009 due to the Cash for Clunkers stimulus program. Year-to-date General Motors four core brands have accounted for sales of 1,453,930, a 23.4 percent rise over 2009. Ford, Lincoln and Mercury dealers delivered 157,503 new vehicles in August, down 11 percent versus a year ago during the “Cash for Clunkers” sales program. Year-to-date, Ford sales total 1,278,340, up 18.3 percent. Toyota Motor Sales, U.S.A. reported August sales of 148,388, down 31.4 percent compared to the same period last year. Year-to-date Toyota has sold1,164,154 vehicles virtually unchanged from last year's total of 1,170,409. American Honda posted August sales of 108,729 vehicles, a 30 percent decrease from 2009. American Honda year-to-date sales reached 815,075, an increase of 1.5 percent versus last year. Chrysler Group LLC reported U.S. sales of 99,611, a 7 percent increase compared with sales in August 2009. 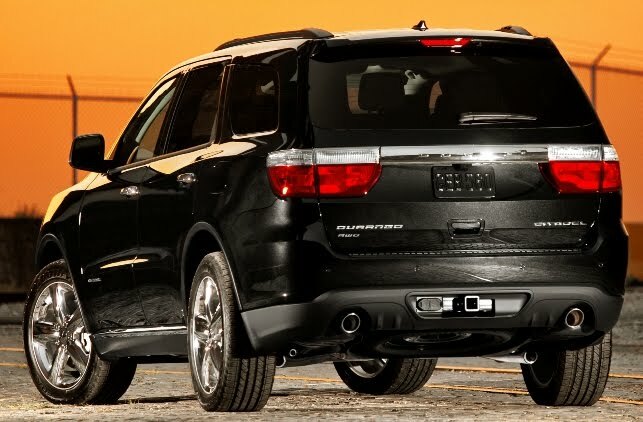 Year-to-date Chrysler has sold 720,140, a gain of 10 percent over 2009. Nissan North America reported August U.S. sales of 76,827, a decrease of 27 percent compared with the "Cash for Clunkers" fuelled sales in August 2009. For all of 2010, NNA sales are up 14.2 percent. Hyundai Motor America August sales of 53,603 was down 11 percent compared with the all-time sales record set in August 2009, when the successful "Cash for Clunkers" program was in place. Still, August marked the third best volume month in company history. For the year, Hyundai reported sales of 363,491, up 17 percent versus the same period in 2009, and remains on track to establish an all-time sales record for the full year. Kia Motors America reported August sales of 32,465, down 19.2 percent from August 2009 with year-to-date sales of 237,953 up 9.7 percent from 2009. The 2011 Sorento CUV was the brand's best-selling vehicle for the eighth consecutive month. Volkswagen of America reported that August sales were 22,855, a 7.9 percent drop from August 2009 and year-to-date sales of 172,747, up 21.3 percent. Separately, Audi sold 9,182 luxury cars and SUVs in August 2010, topping the previous August record of 8,057 vehicles sold in August 2009 by 14 percent. Year-to-date Audi sales are 65,439, up 25.1 percent from 2009.
vehicles, up 5.6 percent from last year. Subaru of America reported August sales of 22,239, down 22 percent from Subaru's best August ever. Year-to-date sales total 172,182, a 20 percent increase. Daimler reported U.S. sales of 20,122 Mercedes-Benz and smart vehicles, an improvement of 7.4 percent compared to August 2009. Mercedes-Benz USA reported August sales of 18,826 passenger cars, light truck vehicles and 848 Sprinter vans. MBUSA has sold 139,867 passenger cars and light truck vehicles in 2010, an 18.1 percent increase over 2009. Mazda North American Operations reported August sales of 19,739, a decrease of 25.6 percent compared to last August. Year-to-date sales through August 2010 stand at 156,190, and are outpacing last year’s sales by 7 percent. Mitsubishi Motors North America August sales of 4,293, was 37 percent lower compared to last August. Porsche Cars North America August sales in the U.S. was 2,032, up 33 percent. So far in 2010, Porsche's overall year-to-date sales are 15,719, an increase of 23 percent. American Suzuki sold 1,830 vehicles in August, a drop of 68 percent from 2009 and year-to-date sales are 15,331, a decline of 52 percent from last year through August. Sales will be added as manufacturers report.